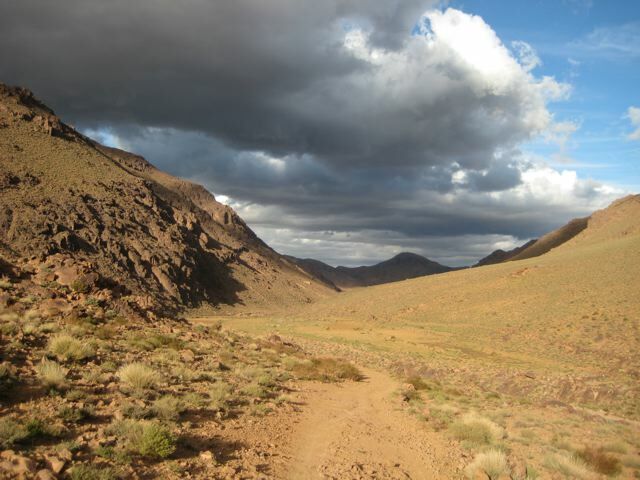 Both trailheads are accessible via minibuses from Boumalne du Dades. 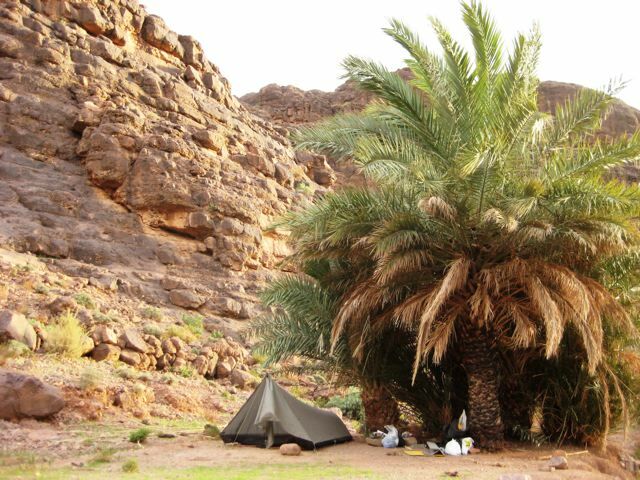 The lower altitudes in the Jebel Sarho region mean that this trek can feasibly be done all year. That being said, spring and autumn are the ideal seasons. Summer is best avoided due to extreme heat and unreliable water sources. 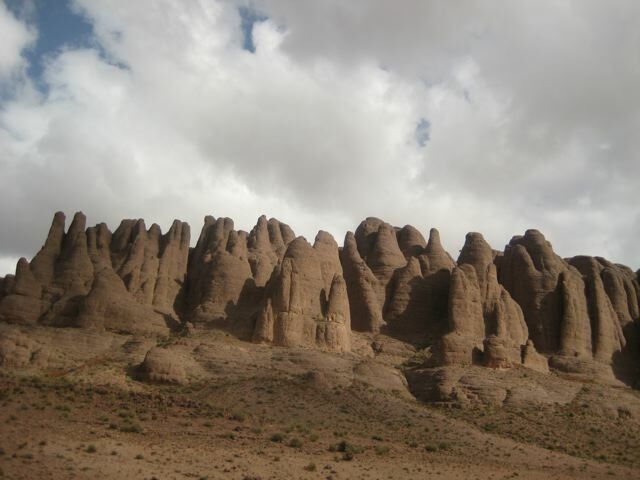 The trek is described in Lonely Planet’s Morocco guide book . 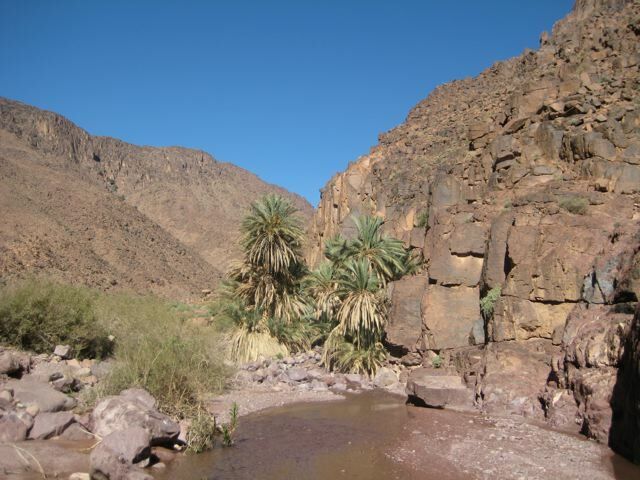 The best map for the Jeble Sarho Loop is the 1:100,000 Randonnee culturelle dans le Djebel Sarho. You can pick it up in Boulmalne du Dades. As of July, 2010 it does not appear to be available online. 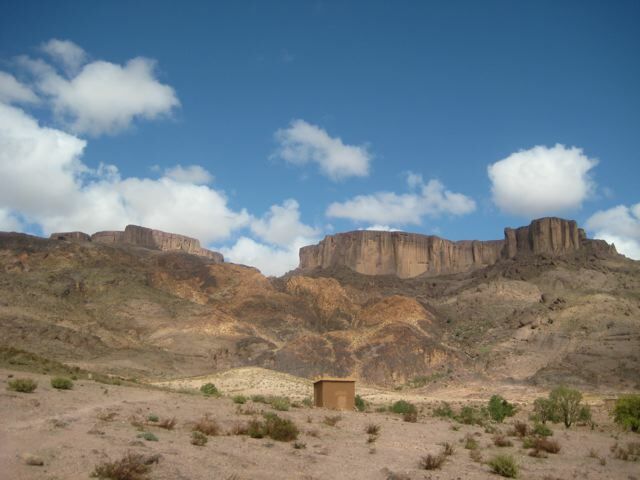 Bring all supplies from Buolmalne du Dades. 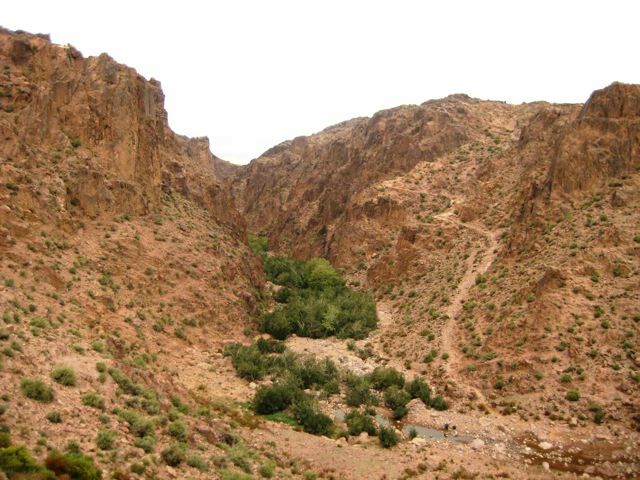 This trek is not as well marked as the Toubkal curcuit, so the above-mentioned topographical map is highly recommended if you are planning to hike independently. Water is a big factor. Be sure of your sources. Refer to map and notes regularly. I would recommend purifying all water on this hike. Shade is virtually non-existent. Don’t forget the sunscreen and a wide brimmed hat. Gites d’ etapes are available in the villages. I spent my final night of the trek in a family-run Gite at Tagmout; the food and hospitality were amongst the highlights of the trip. 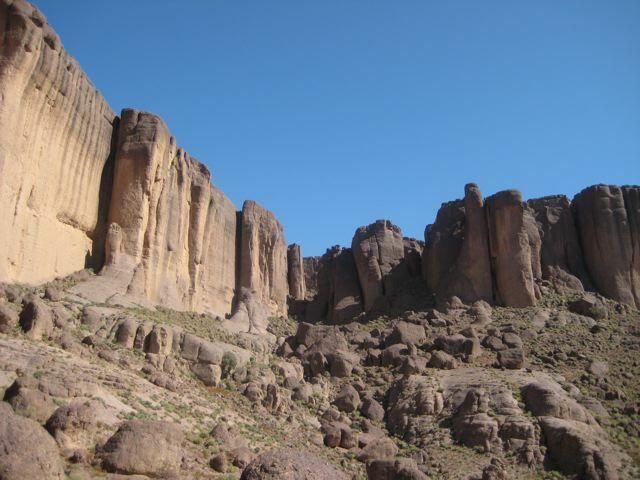 Wonderful scenery including gorges, mesas, rock monoliths and needles, interspersed by the occasional oasis and mud brick village. 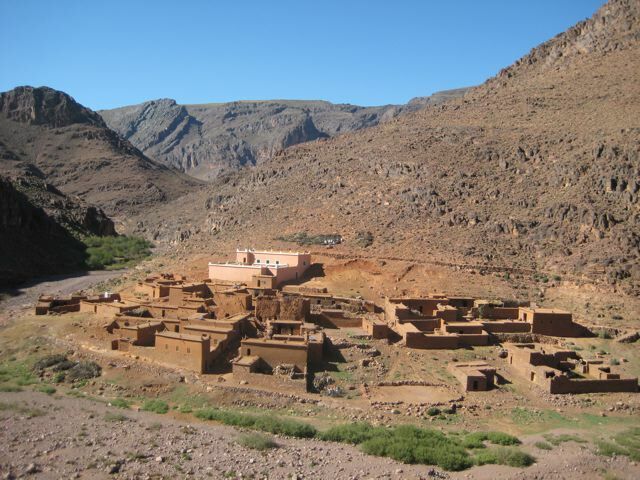 The hospitality I received in the Jebel Sarho was unsurpassed during my six-week stay in Morocco. 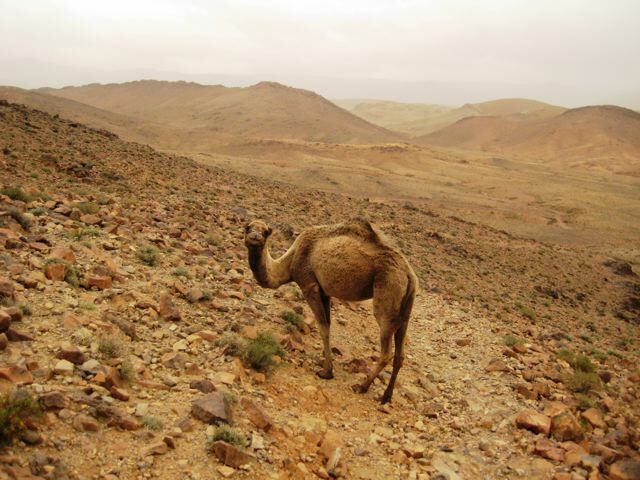 Caked from head to toe in desert grime, I wandered into the tiny Bedouin village of Tagout. Within a few minutes I had found accommodation along with a steel wire dish brush and a bucket full of semi-clean H2O. With rustic cleaning instrument in hand, I proceeded to remove my hard earned sandy coating along with multiple layers of dead skin. Feeling brand spanking new, I was invited to dine with my hosts who promptly brought out the largest Tajine I had ever seen. A Tajine is a North African stew or vegetable dish which is named after the clay hot pot in which it is cooked. 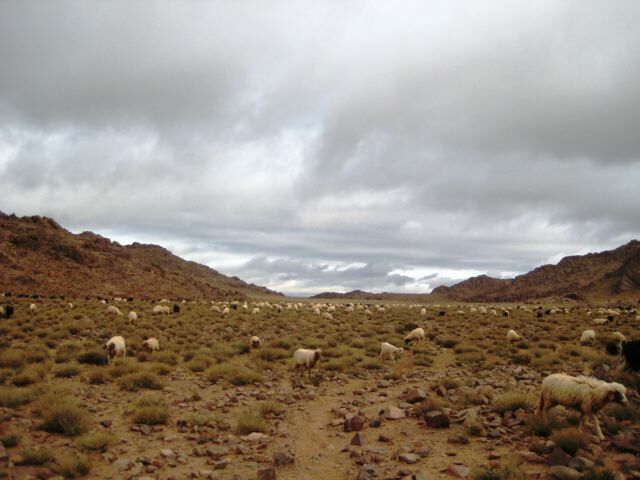 The incredible food and hospitality were topped off by a post-feast waddle out into the surrounding desert. As I stood outside my lodgings and gazed at the horizon, I was treated to a kaleidoscope of darkish shades as a huge storm rapidly approached the village. Within 15 minutes it was pouring down. I’ve always loved desert rain; nature’s affirmation that anything is possible as long as you believe and have patience.